Pests can be of various sizes and shapes. No matter what type, size or shape of pests you have in your premises, they must be extremely irritating. That’s why we extend a helping hand to you. We can eradicate everything from wasps to spiders, from bed bugs to cockroaches, from termites to rodents. Our aim is to give you peace of mind. That’s why we leave no stone unturned. And that’s why we conduct a full-proof pest inspection in Perth before our service commences. 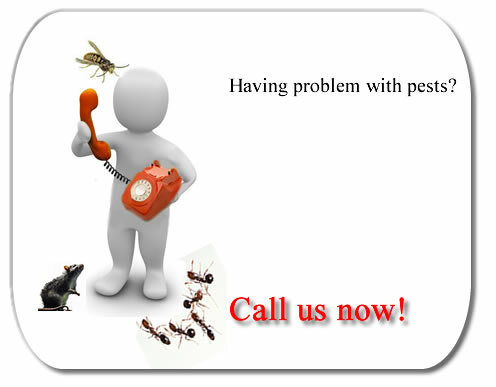 If you are having to face a continuous pest problem, then, the best thing to do is to call professionals to free your home from the infestation of those pesky creatures. With our in-depth knowledge and professional expertise, we can assist you in dealing with those rodents successfully. We can bring things under control before the situation gets out of hand. Have our pest inspection in Perth team inspect your property today. Our team members can make use of the latest technologies to provide you a long term solution. Just as any other management plan, pest management plan too requires a hierarchical way. Pests need to be monitored, identified, and the root cause of their presence needs to be uncovered so that they can be eliminated from the grass roots level. The action plan is not just limited to individual pest problems. Particular problems need to be identified and proper action needs to be taken. That’s why pest inspection in Perth is so important. Call us today to know more.